The late vibraphonist, Walt Dickerson, who was born in Philadelphia on April 16, 1928 and died on May 15, 2008 was an extraordinary musician who never compromised his music and remained true to his artistic muse. Dickerson's style is neither beholden to Lionel Hampton or the all-pervasive Milt Jackson but was influenced by saxophone players. 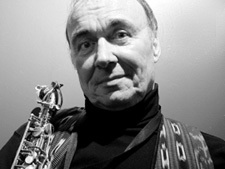 Some critics called Dickerson "the Coltrane of the vibes" because of his sweeping style. Dickerson was gifted with impressive technique but was also a warm player. He achieved his 'sound' by various means.....use of the sustain pedal and by using mallets that had been stripped of the cloth around the heads. This album done with his favourite players including Philadelphia pianist Austin Crowe, Ahmed Abdul-Malik on bass and Andrew Cyrille on drums and was his third for the Prestige/New Jazz label It was recorded in January of 1962. Because of Dickerson's uncompromising attitude and artistic stance he was bypassed (after the initial favourable critical reception) by Gary Burton and Bobby Hutcherson but remained strong and committed. He recorded extensively for the Danish label, Steeplechase in the 70's and 80's and did everything from solo vibes to trios and quartets and duets with Sun Ra and bassist Richard Davis. Dickerson will be missed.